Experts at newspapers and magazines used to review books and set trends. A good book review by a well-known reviewer could send sales for a particular book into orbit. A bad review could banish a book to the literary dungeon. All this changed in the Age of Amazon. Everyone has become a book reviewer and credentials are no longer required. In fact, today, people sometimes review books without even reading them. 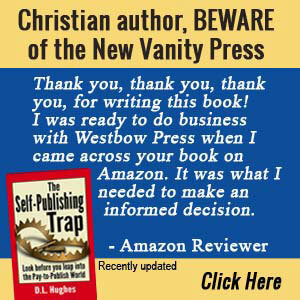 Christian book reviewers have a greater responsibility when they review Christian books. The authors are trying to honor the Lord, so reviewers need prayerfully to focus on the content and leave an honest review. Most readers do not know how to write a review, so here are some tips that can help you write helpful and responsible reviews. Years ago, I was an editor for a national Christian magazine. Christian publishers sent us their books hoping we would review them. We had specialized reviewers in some subject areas, but otherwise, when we had page space, the editorial staff selected books that appealed to them and reviewed them. That’s when I learned to review books. I was a journalist, so I understood that objectivity was important. A review had to be more than my personal opinion about the book. I had to consider the value of the book to a wide range of readers, not just those who might share my own perspective and knowledge about the topic. As I learned back then, there is far more to reviewing a book than merely using it as an excuse to launch some of my pet opinions and beliefs. These guidelines are important for all who review Christian books. Here are some helpful guidelines to write better reviews. Many people are not reading the books they are reviewing. They are skimming them. According to a Jellybooks poll, 40%-45% of ebooks purchased are never opened, but even then completion rates are only 20%-40% in some genres. Christians should feel duty-bound to read a book in full before reviewing it. Sometimes there is a life-changing nugget in a book, but the careless reader misses it and leaves a less than an objective review. Look for something that encourages your faith and report on that. One of my clients wrote a book and it got excellent reviews. Except for one. The reviewer complained that the author skipped over an important part of the topic. The truth? The author covered the topic in detail—it was an important part if the book—but the reviewer clearly does not read the book before leaving her review. Most of us were required to give book reports in school. We submitted them in writing, but sometimes we had to stand in front of the class and give them orally. In those book reports, we were expected to tell what happened in the story. No thinking was usually required, we just rehashed what we read. This was about developing reading, writing and speaking skills. It had nothing to do with learning how to think about what we had read, or compare and contrast it to other books or our experiences on the topic, which is at the heart of a book review. Anyone who gives a book report, as if it were a book review, does an injustice to both the author and other readers. You do not want to summarize the book. I have seen nonfiction “reviews” that give an outline of the book and the major points in each section. These kinds of book report type “reviews” is how readers sabotage authors. The old joke is that if you ask five Christians a theological question, you’ll get seven opinions. Each has a different opinion on a topic and some have two opinions on the same question. Was there edification for anyone in this kind of review? Probably not. It was an attack, and anyone, Christian or non-Christian, would see it as childish and unhelpful. Recently, I mentioned in one of my books that Jesus was a speaker, not a writer. A reviewer took exception to that. He pointed to John 8:1-11 where Jesus “wrote” something in the dust, and that made him a writer. Was that helpful or petty? The truth is, no one knows what Jesus might have been writing, if anything, in the dust. The New Testament Greek word for writing and drawing is the same, so Jesus could have been doodling as he listened to the accusations of the Pharisees. But I can assure you, if Jesus had written letters (epistles), a history or a biography, we’d all know about it. My point? Well, Jesus put it this way. He said, “Bad book reviewers will strain a gnat but swallow a camel.” Anyway, that’s my paraphrase of Matthew 23:24. Never thump the tub for your theological view in a review. Don’t attack an author and give the book a low rating due to lack of agreement. Yes, point out that the author holds a certain view, and that the reviewer holds a different view if you wish. But that is not criteria for determining whether a book is good or bad. The book might have been informative, inspiring and well-written in spite of conflicting theological views. Perfectionism is a pagan god, but sadly many Christians worship at the feet of that idol. Christians should show grace and typos probably should never be mentioned in reviews. Nevertheless, many Christian reviewers love to play “gotcha” by mentioning them. Sure, most of them say they are “proofreaders” with good intentions. But that often masks a passive-aggressive personality that also blooms in other areas of their life. Under the guise of “helping,” they brand a book as being “riddled with typos,” when in fact there may be just a few. In our present digital age, changes can be made to both ebooks and print books in a matter of minutes. Later editions won’t have the typos, and the review becomes false. However, future book buyers will see the outdated review about typos, with few stars, and that hurts all Christian books and authors. Most of the self-righteous Grammar Judas types don’t realize that traditional publishers pay $10,000-$25,000 or more for multiple waves of editing, and yet it’s still fairly easy to find editing errors in those mainline books. Christian writers often pay just a few thousand dollars, if that. 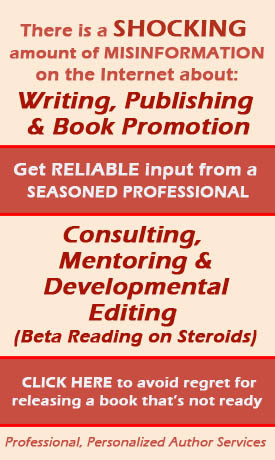 Some authors have no budget for editing and leave it to a friend or relative to find errors. I’m not saying Christian authors should be sloppy. But most self-published Christian books sell just a few copies for a few dollars each, so it’s important to keep financial stewardship in mind before ripping a book that does not meet your personal editorial standards. Here is a review that illustrates my point. The reviewer says the book received “many 5-star reviews,” yet ignored the content and used terrible grammar and punctuation to express rage about editing. This is not helpful to anyone. Christian authors should produce the highest quality books they can, and make corrections promptly when needed, but that’s all that is required. The best thing to do is not comment about typos in a review. A polite and discerning reader would send an email to the author so he or she could make suggested corrections. What is the essence of a properly written book review? Identify the purpose of the author. Do you think the author reached his or her goal? Mention the author’s qualifications, reputation or previous books if relevant. Select the 1-2 major themes of the book that you appreciated and explain why you liked them. Let others know what blessed you. No spoilers, please. Select the 1-2 key points you did not appreciate as much. Give objective reasons and don’t base opinions on a passing mood. Again, exclude spoilers. Feel free to comment on the author’s writing style (formal or informal, captivating or turgid, and so forth). Summarize your thoughts and recommend the book if you can. A book review is primarily analytical, not emotional. Your rational thoughts will help other potential book- buyers, more than your feelings. A 100-300 word review is a good target for a brief Amazon-style book review. Christian authors need the support of Christian readers. One of the best ways Christian readers can do that, besides buying their books, is to review them. Post your review on the site where you purchased the book. Your blog post is TOTALLY on point. I should know because as of today my Amazon Reviewer Ranking is 1,203. I, too, also dislike those reviews which are so fraught with spoilers there’s no real need to read the actual book; and on the other side of the coin you’ve got those cute, short, basically unhelpful one sentence reviews praising and exalting how great the book was.